Whether you’re looking to expand your networking pool or ready to find a new job, social media can help you reach your goals. “Most jobs are still found because someone knows someone. However, remember when you’re networking online, the whole idea is to move the online to the personal, not just to be collecting a database of people, but to be building relationships, and out of relationships come opportunities, and from opportunities come jobs,” says Arnie Fertig, CEO and Founder of Jobhuntercoach.com. Here’s how to make the most of your online presence and attract potential employers. Whether you’re creating or fine tuning your online presence, career coach Wendy Terwelp, president of Opportunity Knocks™ and author of Rock Your Network® for Job Seekers, says first do an online search of your name. 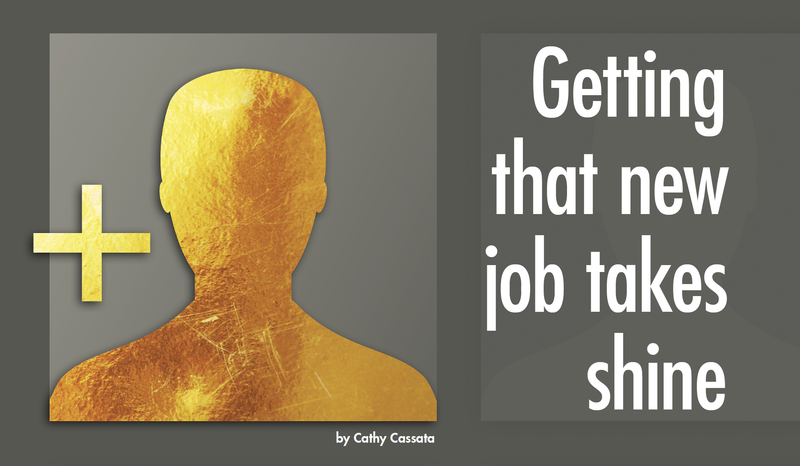 “Prospective employers will do this, so you want to figure out what’s being said about you on online. If there’s nothing, that’s not good, and if there’s too much personal information showing up, that’s not good either,” she says. Once you see what’s out there, Terwelp suggests deleting and cleaning up anything negative, as well as creating positive content through a blog or social media sites. “Not having any presence online isn’t good today because it looks like you are not familiar with technology, especially if you’re an administrative professional; you want to show that you’re in the know with all things technical,” she says. While you’re able to include your work experience, education, and skills on LinkedIn, Fertig says your profile should showcase more than your resume. “You want it to differ from your resume and be a supplement to it. As you list the various positions you held, your bullet points should emphasize achievements. On your LinkedIn summary, you want to be more personal, and even use I, which you wouldn’t on a resume,” he explains. One area to really detail your experience is in the summary section on LinkedIn, which appears at the top of your profile page. “It’s one of the first things someone will read, so make it strong and include your contact info here because if a third degree contact reads it, your contact info will not automatically pop up. It’d be a terrible thing for someone to find you as a good fit, but not be able to contact you,” says Fertig. Everything on your profile is searchable so complete as many sections on your page as possible to give you the best chance of being found. “If recruiters or employers are searching for particular skills, whatever keywords they use that are on your page will bring them to you,” says Fertig. Complete your profile with a professional photo—it is 14 times more likely to be viewed if it has a professional photo. Once your profile page is complete, start connecting with people. Fertig says that LinkedIn’s value is what sociologists call “the power of the weak connection.” Connecting to more people expands your second- and third-degree connections and creates more true opportunities for networking, which really kicks in when you reach 150 to 200 connections. Be sure to connect with recruiters, as well. “They’re all over LinkedIn, and it’s a good idea to be connected to them because you’ll never know all the jobs out there that are a good fit, but recruiters, hiring managers, and others are constantly searching LinkedIn to find the talent they want,” says Fertig. 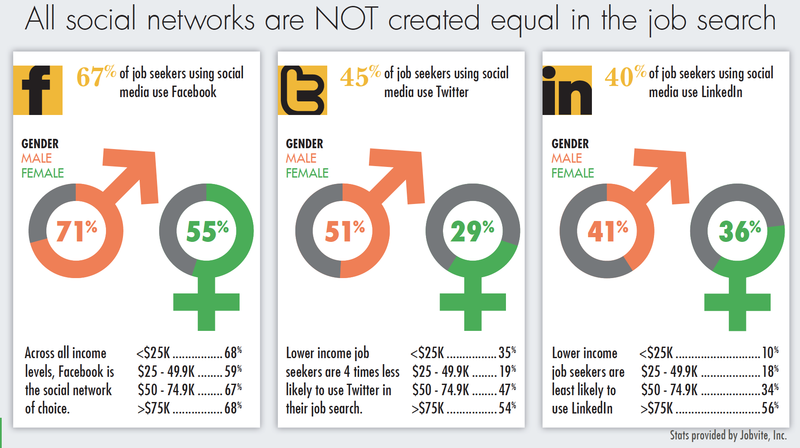 According to Jobvite, while 94 percent of recruiters are active on LinkedIn, only 36 percent of job seekers are. As you build connections, aim to get endorsements and recommendations from them. While any of your connections can endorse you for a skill by clicking a button, recommendations require them to put into words your skills and strengths into words. “Well-crafted recommendations can be strong, but you don’t want a ton of these, just a good sampling, such as one from a current boss, a coworker, and someone you supervise,” Fertig says. While creating a strong profile and building connections is crucial, staying active on LinkedIn is a must, adds Terwelp. To gain attention, she suggests posting a status update at least once a week, shooting for two to three times a week. “This could be something as simple as liking someone else’s post; when you do this a notice goes out to your network, reminding them about you and helping you stay top of mind. You can also post interesting articles that will benefit your network. Whether you like or post helpful information, people will think of you as a thought leader in your area, which can enhance your personal brand,” Terwelp says. In addition to being found, LinkedIn can be used to find job openings. Fertig points out that LinkedIn has the largest job board on the web, larger than CareerBuilder or Monster, with many jobs posted on LinkedIn that are not advertised on other job boards. “You can find these job opportunities by joining groups on LinkedIn or seeing them posted by people you’re connected to,” says Fertig. If you’re interested in a particular company, you can follow its LinkedIn page. “Many people don’t do this enough, but by following their page, you can get lots of background on the company and leaders that may give you good information to craft a strong cover letter. You can also figure out people you might be talking to at the company if you have an interview lined up,” says Fertig. 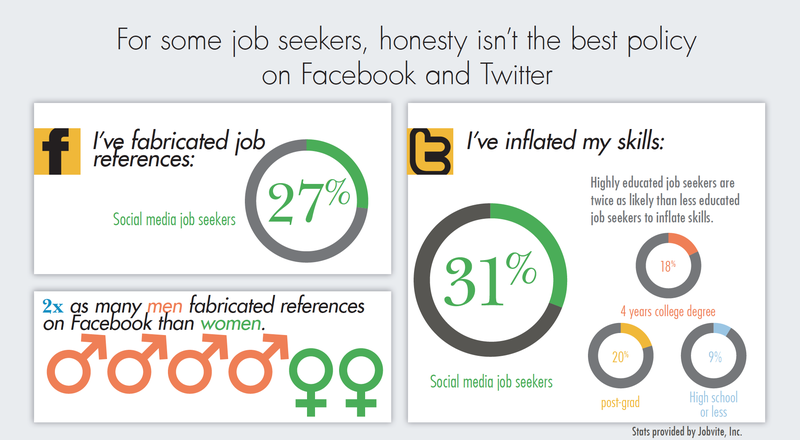 Fertig says that Twitter is often an overlooked effective resource for job hunters. “Current job openings are advertised right on Twitter, and you can do a geographic search for jobs that would come up on Twitter, but wouldn’t appear anywhere else,” he says. Following companies of interest and their leaders is a great way to use Twitter to your advantage, adds Terwelp. “You’ll stay in the know of what’s happening with the company, as well as see what leaders are up to. For instance, if they’re speaking at an event, you may want to attend that event to speak with them” she says. “I’ve had clients who landed positions because they follow senior people on Twitter and reach out to them.” In addition to following companies and people, Terwelp says tweeting informative tips and helpful articles to your followers is a way to build your brand and gain followers. Believe it or not, Pinterest and Instagram are places to be for administrative professionals looking to work in creative and visual industries like advertising and interior design, says Terwelp. “Joining these shows that you’re interested in the visual world. You’d start to elevate your brand by posting and pinning things that intrigue you, keeping it all professional of course,” she says. These platforms might also be beneficial for those interested in women-run companies. “Since 87 percent of people who are on Pinterest are women, it’s likely that employees and leaders of these companies are there too,” notes Terwelp. Cathy Cassata is a freelance writer based near Chicago, IL. She writes how-to articles, feature stories and inspiring pieces for a variety of publications and websites.